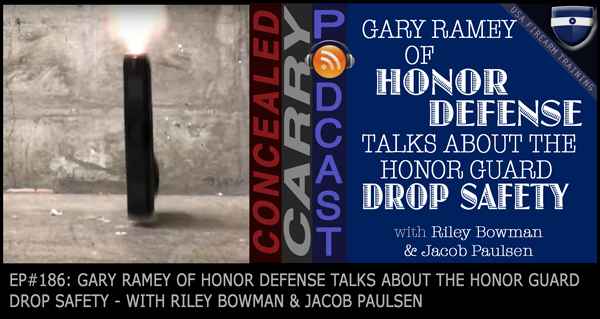 Today Riley and Jacob have Gary Ramey on the program from Honor Defense which has been under fire in recent days due to videos emerging suggesting the Honor Guard 9mm pistols may not be as drop safe as gun owners would like. We also discuss about a couple of fantastic articles written by an experienced trauma surgeon who explains the myths and misconceptions about “stopping power.” Press ‘PLAY' to listen now! Jacob – His THREE mini fridges! Today talking about wounding ballistics with a great article from Dr. Sydney Vail M.D. and a special guest with Gary Ramey of Honor Defense to talk about the Honor Guard 9mm with the reported drop issue.